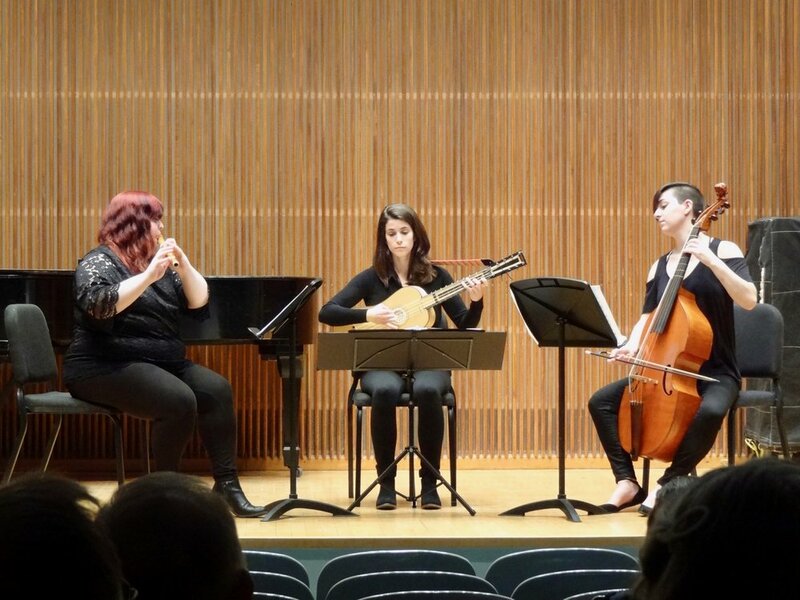 The second of our Ensemble concerts this semester took place on Wednesday. It was a big program with a wide range of music and lots of different instruments on stage. We heard music by Giuliani, Tchaikovsky, de la Barre, Desportes, Ourkouzounov and Schubert. The playing was terrific, and the ample audience responded loudly. Naturally, afterwards, we ended up at The Feve. Congratulations everyone!! Here are some shots from the evening. The full program follows. 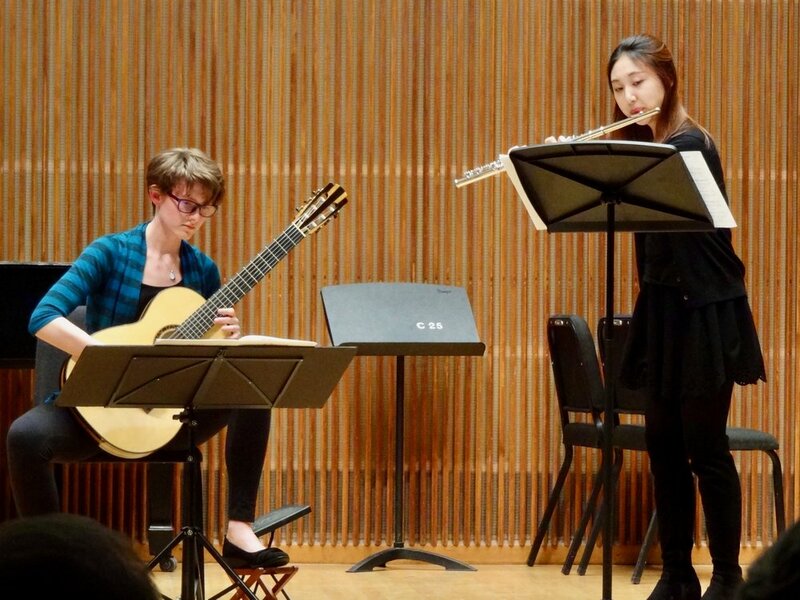 Finally, Katie Kim and Brian King played the amazing Ourkouzounov Sonatine, complete with singing through the flute, the guitarist tapping and singing along, and sundry whoops, screams and hollers, all in 5/8 an 7/8. It was great!